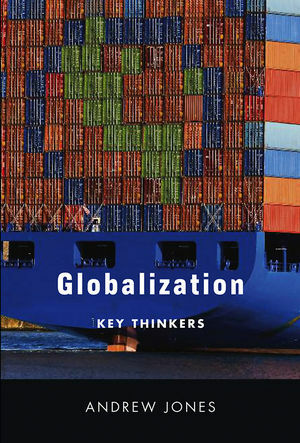 Globalization: Key Thinkers offers a critical commentary on the leading thinkers in the contemporary globalization debate, as well as new arguments about the future direction of globalization thinking. The book guides the reader through the key arguments of leading thinkers, explaining their place in the wider globalization debate and evaluating their critical reception. Eleven thematic chapters focus on one or two key thinkers covering every aspect of the globalization debate including the theoretical arguments of Anthony Giddens and Manuel Castells, to the positive arguments of Thomas Friedman and Martin Wolf and the reforming ideas of Joseph Stiglitz. Other chapters variously address the ideas of Immanuel Wallerstein, Arjun Appadurai, Paul Hirst, Naomi Klein, Grahame Thompson, David Held, Anthony McGrew, Michael Hardt, Antonio Negri, Saskia Sassen and Peter Dicken. Each chapter also provides some carefully selected recommendations for further reading for the thinkers discussed. The book ends with a concluding chapter that examines how thinking about globalization is likely to develop in future. Whilst individual chapters can stand alone, the book is designed as a whole to enhance the reader's understanding of how different thinkers' ideas relate and contrast to each other. Andrew Jones is Reader in Economic Geography at Birkbeck College, University of London. "Undergraduate students or anyone else looking for a clear, well-informed introduction to globalisation and its literature should find the book readable and rewarding; readers more familiar with its subject should find it stimulating." "An excellent guide to the works of leading globalization thinkers. More than a regular 'reader' on globalization; Jones offers his own analysis, distils the various criticisms and evaluates the thinker's contributions against the historical context of his or her key works." "This imaginative book offers an excellent grand tour of the monumental works by 18 leading thinkers of contemporary globalization. Written in a highly systematic and yet critical manner, Jones' book clearly stands out as the key introductory reference in the messy jungle of globalization studies." "Andrew Jones has produced an absorbing and detailed analysis of some of the key writers on globalisation that provides a timely and critical assessment of the current state of knowledge in this somewhat crowded field." "This book offers a rather unique and original means of understanding the different perspectives on globalization. It cuts through jargon and presents in a clear fashion the arguments of the key thinkers."